Daleys Fruit Tree has Plants for Sale to Copmanhurst and can Mail Order them to you door. Click to Find out how much Freight Will Cost. Seedling of the popular Nagasakiwase variety. Quick growing and hardy, bearing after 4-5years. 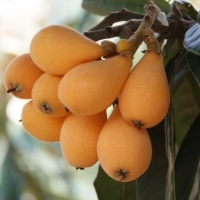 Loquats are suitable for growing in a range of climates as they do well in the subtropics but are also ideal for temperate gardens. 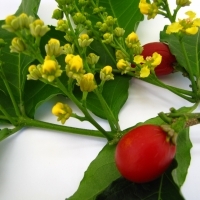 This attractive tree has clusters of yellow flowers that are followed by an abundance of dark red fruit to around 2.5cm long. The rich, sweet flesh has a texture similar to peanut butter. The fruit can be eaten fresh or made into milk shakes. Purple skin with pale cream flesh. A warm and sunny position is essential, this variety is less susceptible to attack by soil insects than gold types. 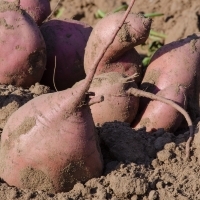 The Sweet Potato is a perennial trailing plant that develops fleshy tuberous roots over summer which are harvested in autumn. A slender and erect tree with cream coloured fragrant flowers. The fruit is round to oval and matures to a yellow-orange colour. The yellow flesh has a sweet earthy flavour and a meaty texture similar to a boiled egg. Seedling selection cropping in 4 years. Atzapotl is the Aztec name for the canistel. 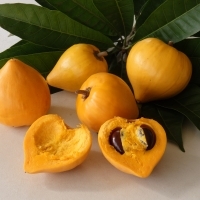 Atzamole is a dish which is like guacamole but with canistel.